Auto Burglary – Jefferson Ave.
On Monday, May 22, 2017 investigators of the Oxford Police Department charged Robert Houston (25) of Oxford, MS with one count of armed robbery 97-3-97. On Saturday, May 20, 2017 Houston was accused of using a weapon to take a vehicle from the victim. Houston came to the victims house and while there Houston pulled a gun, took the victim’s keys, phone and car. Houston was identified and then later found by officers on a traffic stop. Officers detained Houston and called an Investigator to the scene. The stolen car was not in Houston’s possession when they found him. After interviews it was determined that Houston parked the car in the county and it was later recovered. Houston was booked on armed robbery and his bond was set at $15,000.00. On Monday, May 22, 2017 investigators of the Oxford Police Department served an arrest warrant on Shawn McIntosh (44) of Oxford, MS. On Saturday, May 20, 2017 McIntosh was accused of strangling his ex-girlfriend and slapping her with a pistol. McIntosh was booked for domestic violence aggravated assault and his bond was set $3,000.00. The victim sustained non-life threatening injuries. On Wednesday, May 10, 2017, at approximately 4:23 PM officers were dispatched to 1802 Jackson Avenue West, Oxford Square Apartments for a reported burglary. When officers arrived they spoke with the victims and witnesses at the apartment. Officers were informed that two black males walked up the sidewalk, knocked on the door and when the homeowner opened the door the two suspects pushed their way inside. Once inside the suspects had handguns and ordered everyone to the living area. Once everyone was in the living area the suspects took their money, bags, cell phones and a laptop. The suspects fled on foot towards Hathorn Road. The two suspects were described as tall (6’0’’), slender, one suspect had on an orange Houston Astros baseball jersey and the other had on a blue basketball jersey, unknown team. No one was injured during the event. Officers are asking for anyone with information to contact us at 662-232-2400. 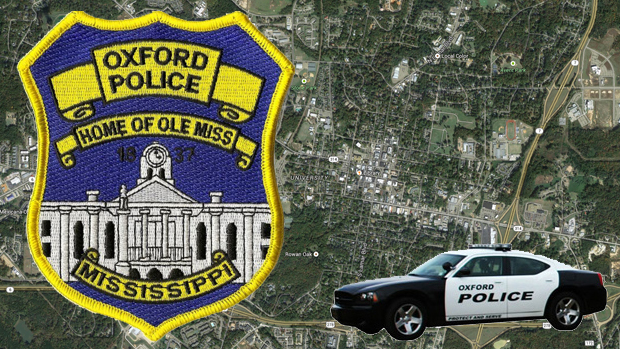 On Friday, May 5,2017, the Oxford Police Department arrested Walter Gantt (25 of Oxford, MS) and Brett Stewart (22 of Oxford, MS) for felony malicious mischief. On May 3, 2017 a report was made to the police department about a vehicle being damaged while parked at the skate park. The damages were estimated to be over $2,600. The vehicle had the glass broken out, a door handle pulled off and had the molding pulled off of one of the doors. The victim found that Gantt and Stewart damaged his vehicle and later signed charges on them. They have both been arrested and given a bond of $2,500. Cedric Johnson, 43 of Meridian, Miss. On May 3, 2017, the Oxford Police Department noticed a red Ford Ranger pickup with no taillights driving at night on Frontage Road. During the stop it was determined that Cedric Johnson, 43 of Meridian, did not have a valid driver’s license and subsequent to the arrest he gave verbal consent to search his vehicle. Officers located a .22 caliber rifle inside the vehicle along with drug paraphernalia. It was determined that Mr. Johnson was a convicted felon and subsequently placed under arrest for no driver’s license, no taillights, and felon in possession of a weapon. Mr. Johnson was given a bond of $5,000. On April 27th 2017, officers with the Oxford Police Department responded to the University Inn for a reported kidnapping. The victim was able to text a friend her location and a vehicle description of the car she was in. Upon officers arrival they observed a vehicle matching the description in front of a room at the Inn. Officers spoke with the occupants of the vehicle, Mario Collins (36) and Paulette Clayton (25) both from Tucker, Georgia. While speaking with the occupants officers asked Collins to step out, as he did a handgun fell from his pants. Both Collins and Clayton were detained at that time. The victim was then located inside a room at the University Inn and advised responding officers that she had been held at gun point. The victim also advised that she had been brought to Oxford, from Georgia, for prostitution purposes. Upon initial investigation it was determined that due to offenses crossing state lines the FBI was contacted. A search of the vehicle was conducted where narcotics (Meth, Cocaine, Marijuana and Xanax) were found and it was determined that Collins was a convicted felon in possession of a firearm. The firearm was seized along with the narcotics. Both Collins and Clayton were booked at the Lafayette County Detention Center for promoting prostitution. Collins bond was set at $250,000 but was revoked due to being out on felony bond in Georgia. Clayton’s bond was set at $200,000.00. The FBI are investigating the kidnapping, human trafficking, weapons and drug charges. On April 25, 2017 officers responded to Local Color, 1000 N. Lamar Blvd. for a report of a burglary. The owner stated he was inside when he heard someone come in from the back door. As he walked to the back he saw three males taking money from the register and items off the shelf. When they saw him they all ran out the back. Upon arrival the owner was able to provide responding officers with tag information for the suspect’s vehicle. Through interviews officers were able to determine the owner of the vehicle and the occupants. On April 26, 2017 warrants were issued for Daniel Watts (18) of Oxford, Dylon Gates (18) of Oxford, and Samuel Mchee (22) of Oxford. Watts, Gates, and Mchee were all arrested and booked at LCDC, bond was set at $10,000.00 for all three. On November 9, 2016, the Oxford Police Department took a walk in report regarding a residential burglary. The victim explained that an x-box, games and a pair of shoes totaling $900.00 were stolen from his apartment while he was asleep that morning. Investigators were able to link a male by the name of Quintez Perry (21 of Como) as a person of interest. 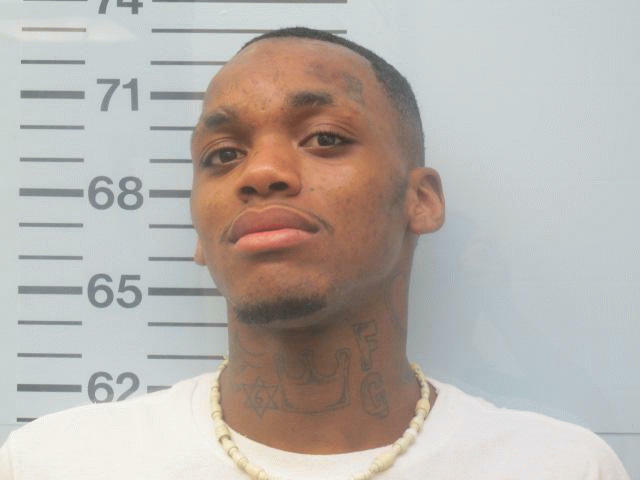 Quintez Perry lived at one time with the victim at the address where the burglary occurred. On November 10, 2016, Mr. Perry sold one of the video games belonging to the victim at a pawn shop in Memphis, TN. 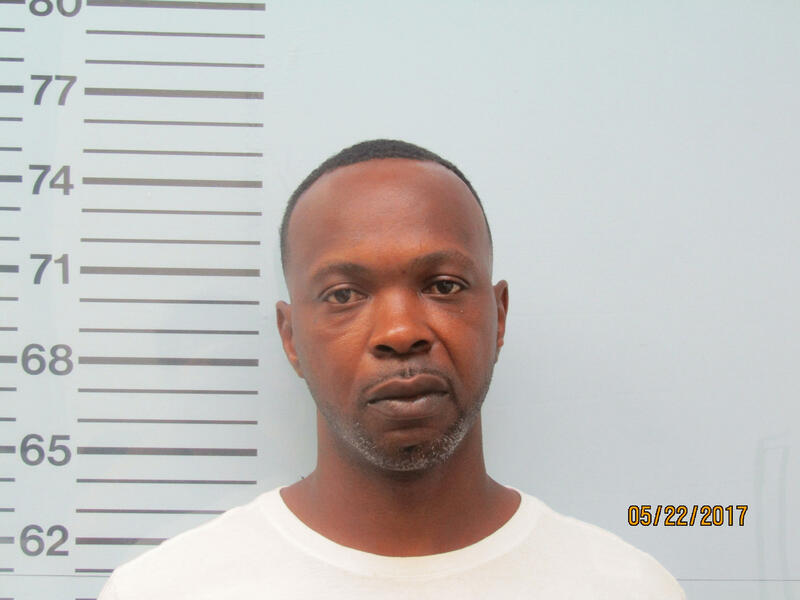 Due to the evidence against Mr. Perry an arrest warrant was issued and he was subsequently arrested on April 29, 2017, following a traffic stop on US 278 in Oxford, MS. Mr. Perry was transported to the Lafayette County Detention Center and given a bond of $2,500.